The Safest, Most Adv Created with Sketch. Group 24 Created with Sketch. Group 35 Created with Sketch. ADA compliant, accessible to wheelchairs and crutches. No dirty loose fill and limited, locked-in infill. A superior play surface freeing kids to be kids. changes the way kids play. Get the details on Playground Grass Extreme, Ultra, Discovery, and Academy products. A more consistently safe and durable surface. Built-in antistatic technology and antimicrobial properties. Combining beautiful grass you can see with a protective, durable underlayerment you can’t. Simply groom twice a year. No displacement and excellent safety ratings. No fading or degradation and lasts for years. 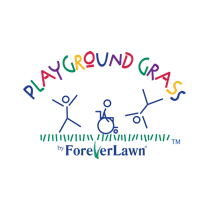 ForeverLawn invented Playground Grass, and continues to lead the industry. Lay down to a variety of edge surfaces or backfill. Pressure treated wood or composite nailer board secures turf. 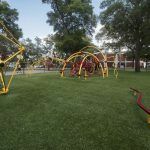 Long-lasting, XP fibers specifically designed for playgrounds, with dimensionally stable backing allowing for little to no infill. 3” of ¾” and smaller compacted, angular stone. Whatever the surfacing, we’ve got you covered. 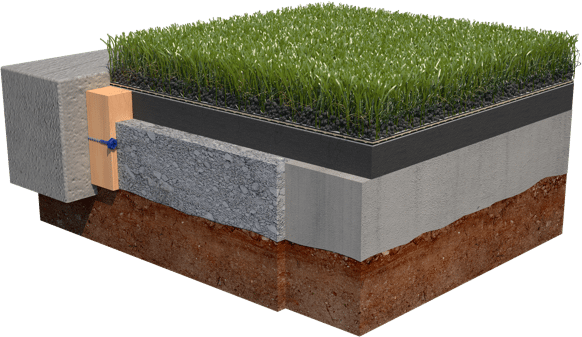 We can install over concrete or asphalt. 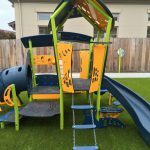 The only engineered playground underlayment with a 700 HIC rating. Little or no infill, with a thatch that locks it in. 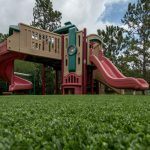 Learn why Playground Grass offers the ideal play surface. A safer surface parents and proprietors trust. 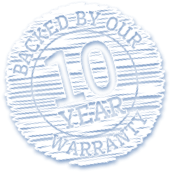 We play it safe with our artificial grass. We don’t settle for minimums. 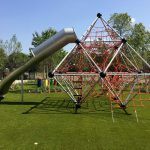 Yes, Playground Grass has the recommended ASTM and IPEMA certifications, but we also go above and beyond industry standards. Our systems voluntarily exceed Head Injury Criterion (HIC) recommendations, and offer the best fall safety ratings in the industry. 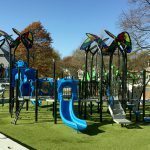 Playground Grass achieves consistently high safety ratings over time—even after heavy use. 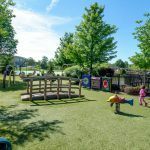 Review certifications and data to see why Playground Grass is the safest in the industry. 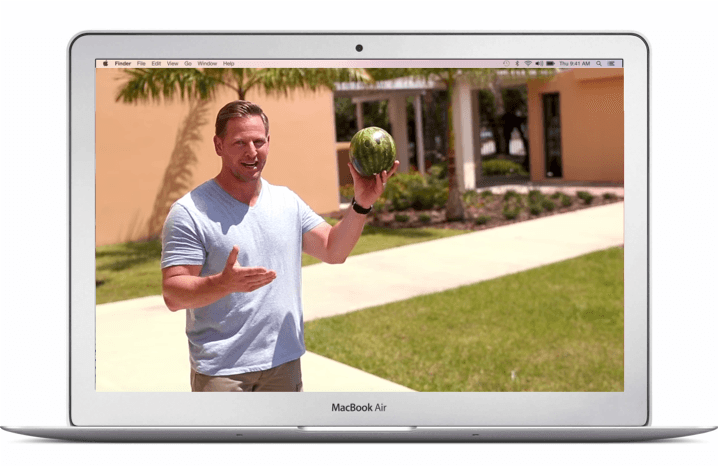 The Proof is in the Watermelon. 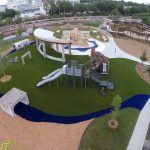 Playground Grass provides a safe, soft surface for unrestrained play. Because the harder kids play, the harder they sometimes fall. 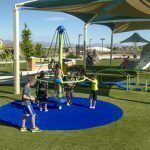 Get the details on why Playground Grass is the ideal solution for kids at play. Playgrounds are special places where countless life stories are written, intersect, and grow. See how Playground Grass helps shape the stories of planners, parents, and kids. 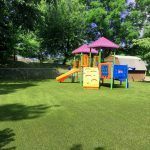 See play areas made more beautiful and safe using Playground Grass by ForeverLawn. Kids should be safe, no matter how they decide to play! 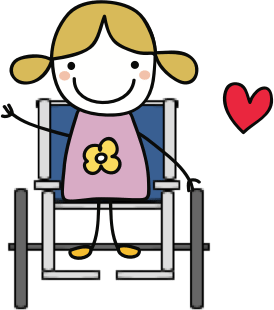 We help make playgrounds accessible to every child!